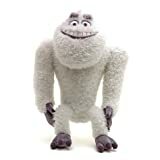 A 2014 Release, this is a soft and adorable plush figure of everyone's beloved Bigfoot! Take home your take-a-long outdoor buddy! Vamplets - The Nightmare Nursery - Abominable Snowbaby "Roari Snow"
Roari Snow - Abominable Snowbaby (Limited Availability) Endearing and horribly wild... Roari never sits still, bounding with horrific ape-like agility and strength! If you love never-ending physical activity such as running for your life, then you will know true delight and endless dismay when you invite this hyperactive baby into your home. Your Warning: She wants to be the center of attention and you had best make sure she is. We have no idea of any means to pacify her since there have been no survivors of an Abominable Snowbaby rampage. The Gloomvanian Adoption Center will only be releasing a small number of babies into the mortal world. The management takes no responsibility for any mayhem and destruction caused by your baby, and suggests strongly that you do not adopt one. You have been warned. Roari Snow is 8.5 inches tall.